Observed along the Elgeyo Escarpment just below Iten, Kenya. July 2014. 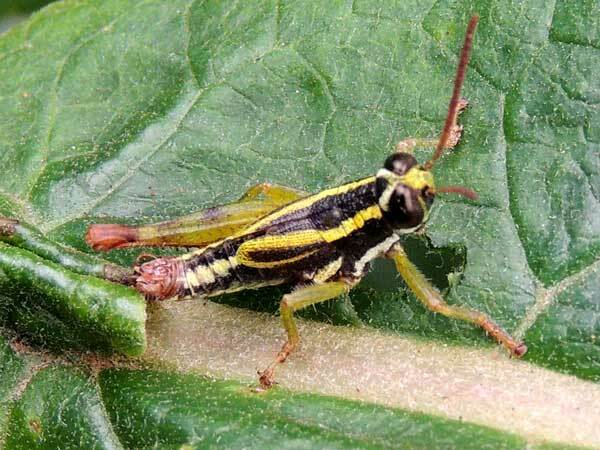 Even though this grasshopper is small, about 12mm in length, and has very short wings, it is probably an adult female. Copyright Michael J. Plagens, page created 9 Nov. 2014.